Charged with a sacred quest by a desperate man, Conan and two of his most loyal knights have ridden west into the Pictish Wilderness. Their mission? To find some means of destroying the dark magics within an accursed crown. Alas, the Picts know of their approach! 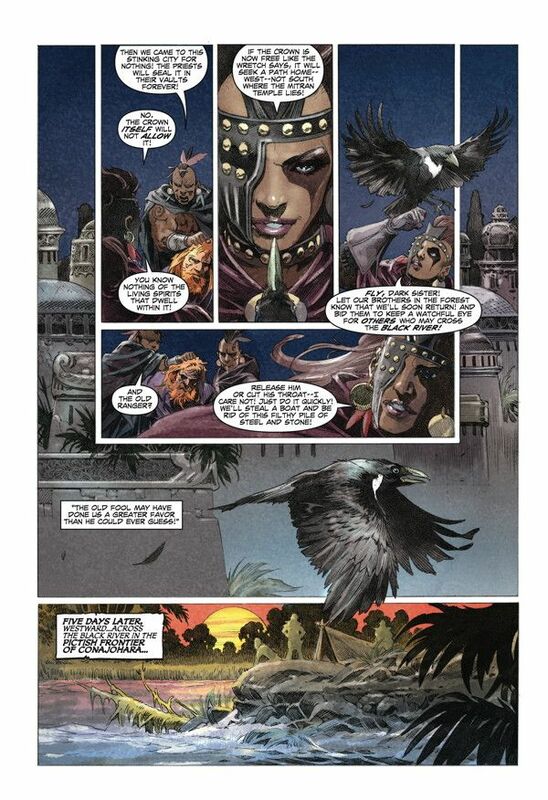 Though Tim Truman's writing is wholly original, it beats with the heart of Robert E. Howard. The action of this issue perfectly captures the weird spirit of the original Conan tales and the whole affair reads like a lost work of classic pulp fiction. This spirit is well portrayed Tomas Giorello. To my mind, Giorello is the finest Conan artist in the past decade. There is a visceral, untamed feeling to his character designs and a darkness to his inks that hints to the mystery of the ancient time beyond time of Hyboria. 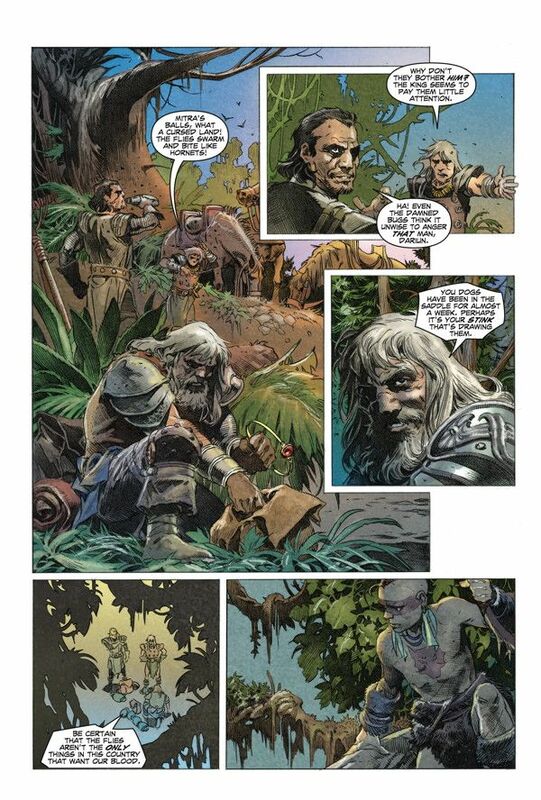 Colorist Jose Villarrubia completes this aura with a well-chosen palette of grim greys and greens that hint at the decay of civilization and the primal wild beyond.